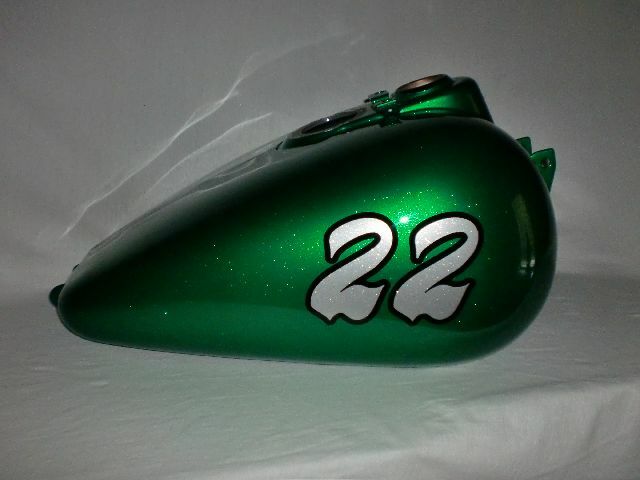 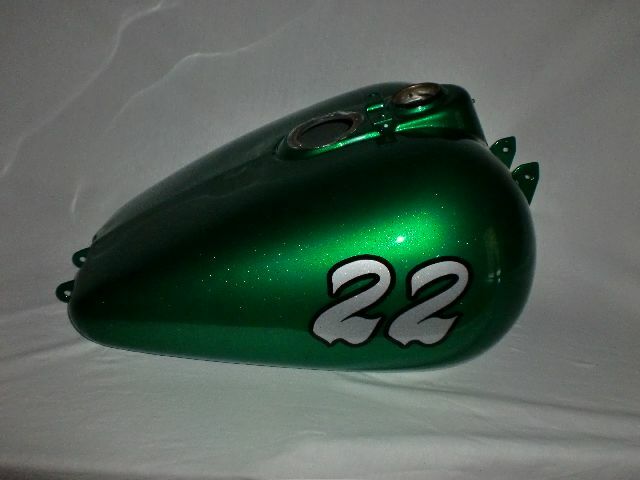 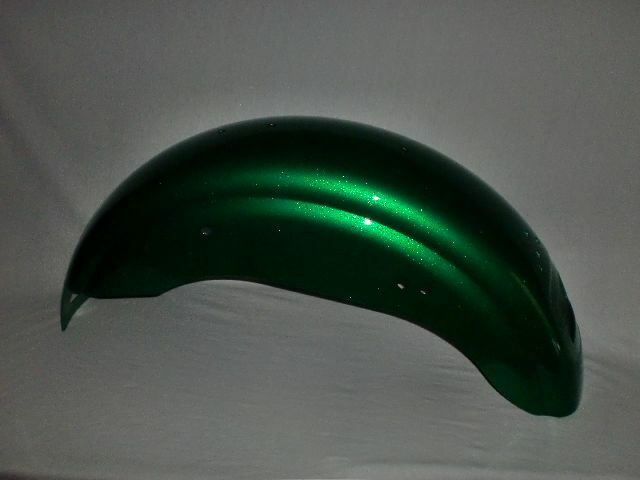 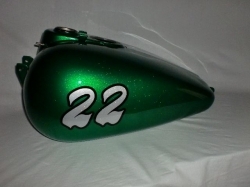 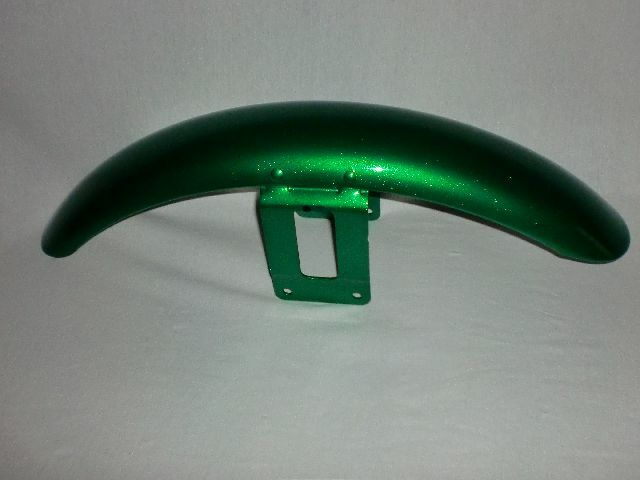 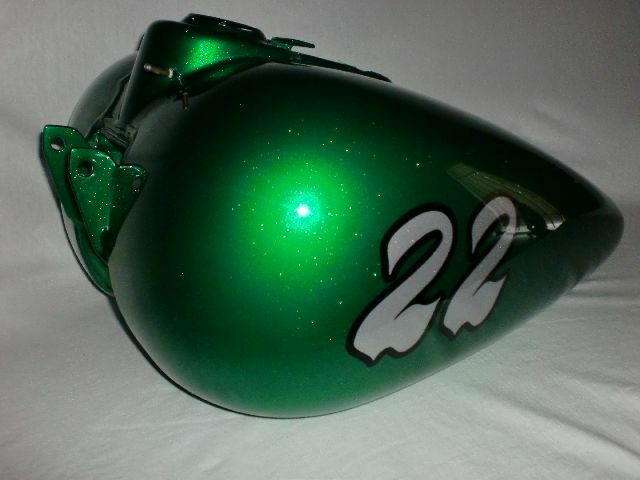 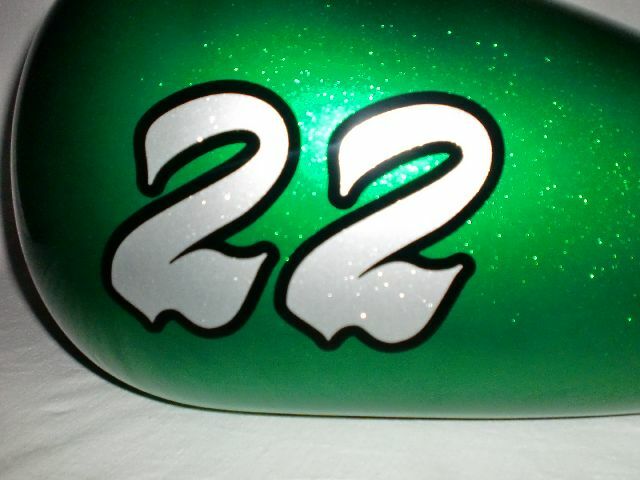 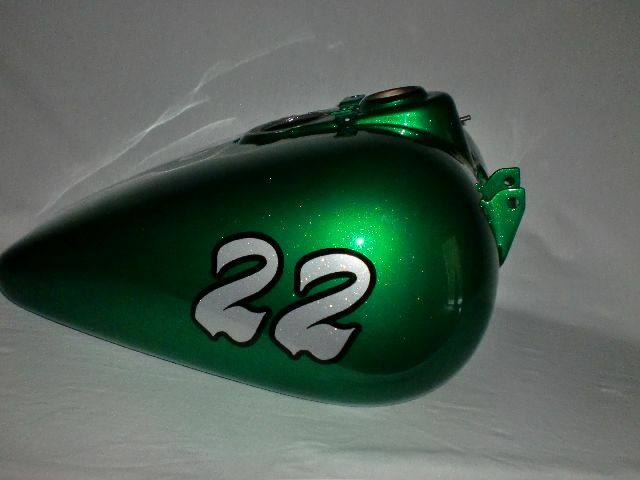 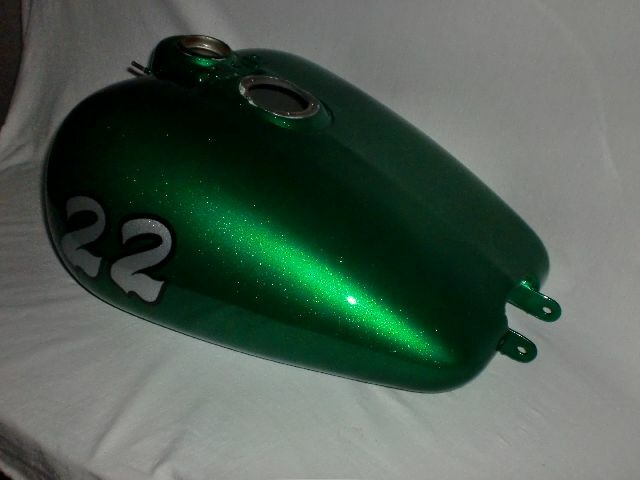 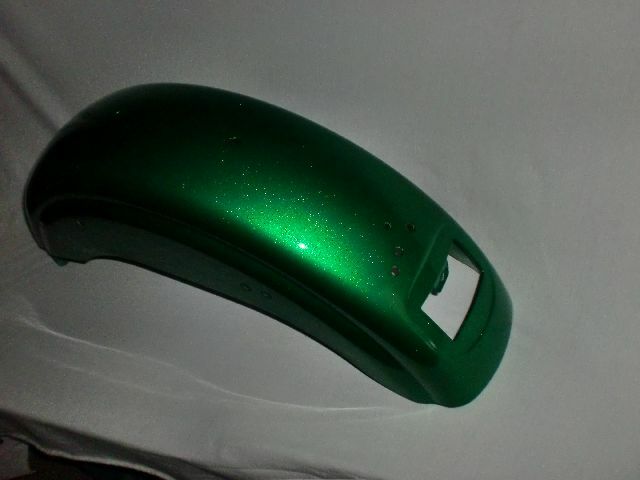 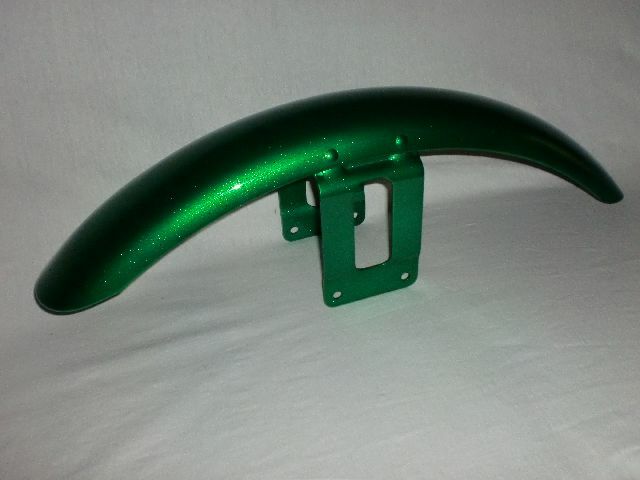 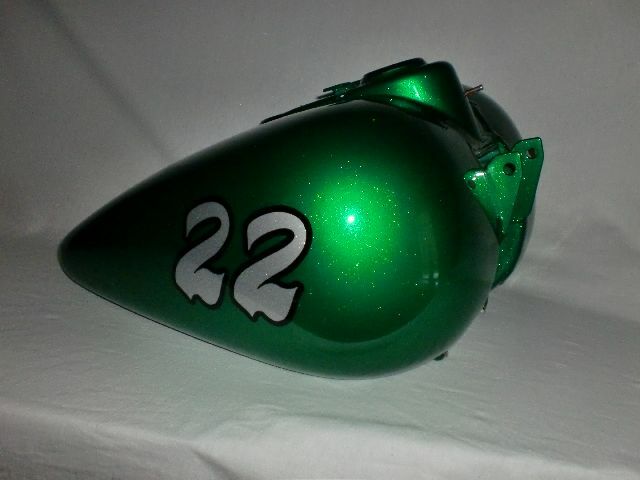 This bike has a silver flake base coat with green candy on top; add your choice of a number or logo placed on each side of the tank to give it that personal touch. 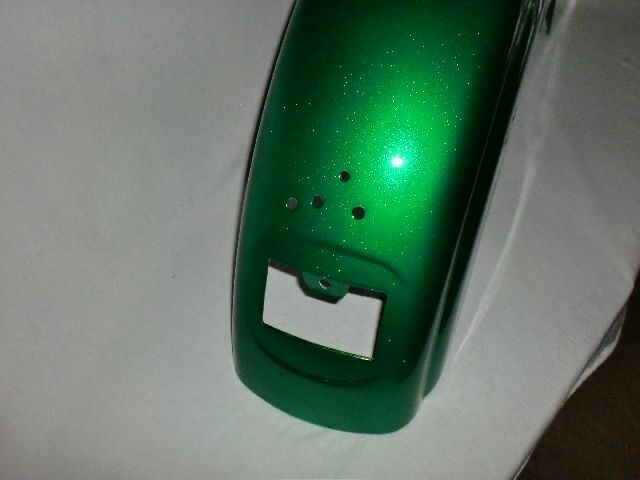 Any candy color or based coat can be used for this base set. 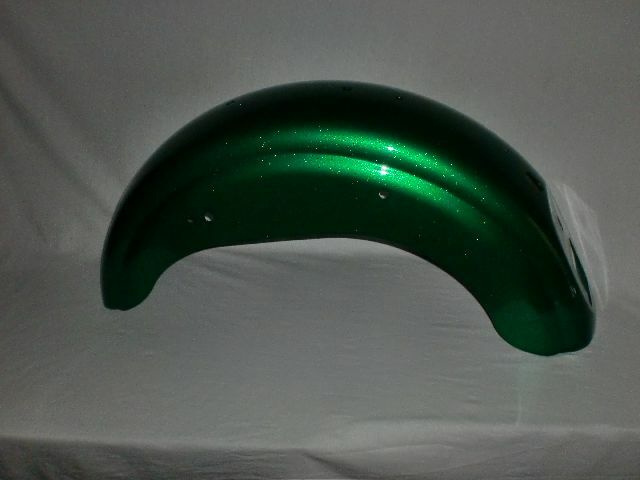 Try blue, tangerine, red or gold, what is your style?